Ride Along has established a new record for the three-day MLK Day weekend. Estimates put the comedy at $41.2 million after three days. That tops the former record of $40 million, established by Cloverfield back in 2008. Surpassing even its most optimistic early projections, Ride Along has also secured the best January debut of all time while effectively eclipsing the frame’s other debuts, including Jack Ryan: Shadow Recruit. January is not the most prestigious month to release a film, which may explain why Cloverfield held the title for as long as it did. Still, for the second week in a row the box office has seen a January opening that far exceeded early expectations. Last weekend’s Lone Survivor held extremely well in its sophomore frame and now ranks as the third-best January debut of all time. 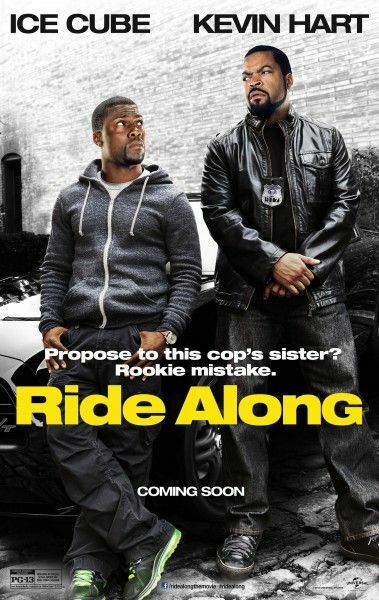 But the big story this weekend is clearly Ride Along. Even without the MLK Day record, it was clear after Friday that Ride Along was on its way to box office glory. One week ago, it looked like the film might struggle to get to $30 million, let alone $40. True, co-star Kevin Hart is considered a major draw – a rising star who helped drive Think Like a Man to a $33 million opening in 2012. Then again, if Hart’s presence guaranteed box office success, Grudge Match should have been more successful. The Christmas Day release featured Hart in a supporting role, though the comedian was featured heavily in the trailers. Grudge Match has yet to pass $30 million after four weeks, so it’s clear that Kevin Hart still lacks the power to turn every feature he’s part of into a hit. On the other hand, his record for success is hard to argue against. Last summer, Let Me Explain became one of the biggest standup films of all time – within striking distance of comedy legends like Eddie Murphy and Richard Pryor. But Ride Along has now provided the surest sign that Hart has arrived. The buddy-cop comedy has received nearly universal critical disdain, ranking just 16% Fresh on Rotten Tomatoes. Outside of the horror genre, movies considered that bad rarely open in first place – those starring Adam Sandler or Kevin James are notable exceptions, but even Paul Blart: Mall Cop pulled a higher RT score (33%) than Ride Along. But before you get the impression that this morning’s Ride Along estimate is the product of January’s diminished expectations, note that the film now ranks as one of the best openers ever among original buddy comedies – in any month. Ride Along tops titles including 21 Jump Street ($36.3 million) and The Heat ($39.1 million), but falls short of the $51 million of Men in Black. Though technically a buddy-cop movie, I’m not sure that’s the first genre that comes to mind with MIB, so it could be argued that Ride Along is now the best-opening original buddy-cop movie ever. Among all original comedies, on the other hand, Ted and The Hangover still have the advantage. With the overwhelming strength of Ride Along this morning, MLK’s fellow new releases had a hard time distinguishing themselves. There was good news for Open Road Films, whose first foray into animation proved less of a disaster than projected. The Nut Job was expected to take in about $15 million – the same range that Free Birds (another animated feature from a smaller studio) reached last November. Instead, The Nut Job topped $20 million. Not an overwhelming debut, by any means; but considering that reviews for the film have been even worse than Ride Along, Open Road is probably feeling good this morning. 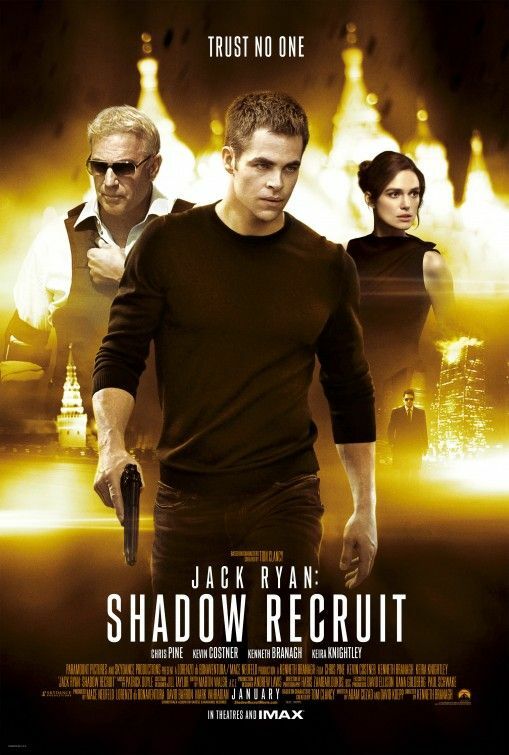 Which only underscores the disappointment that is Jack Ryan: Shadow Recruit. Paramount’s fifth feature in the Jack Ryan series garnered the lowest opening since The Hunt for Red October launched with $17.1 million in 1990. After adjusting for inflation, however, Red October’s opening climbs to over $30 million: close to the $31.1 million series-high that The Sum of All Fears hit in 2002. The latter, featuring Ben Affleck as Ryan, went on to earn $193 million worldwide. Shadow Recruit was not expected to get near those numbers (it’s release date was a hint), though Paramount was clearly hoping for a stronger start. It looks like Chris Pine, like Affleck before him, will only get one bite at the Jack Ryan apple. This weekend’s final new release, Devil’s Due, was also a disappointment – albeit on a much smaller scale. The supernatural horror film is following in the found-footage footsteps of Paranormal Activity: The Marked Ones by coming in well under projections. Devil’s Due was expected to bring in between $10 and $15 million this weekend, but debuted with $8.5 million instead. The good news for Fox is that the film (in the great horror tradition) had a very small budget ($7 million), so it won’t have far to go to see a profit. The good news for the box office is that overall grosses reached $182 million this weekend. That’s up 30% over last year and represents the best MLK Day weekend since 2009, when Paul Blart helped establish a new holiday’s record. In terms of this year’s four-day weekend, things can only get better for Ride Along – and worse for Jack Ryan. Should anything change, we’ll let you know.